Hope you’re week is off to a good start. So sometimes you just want to sketch on cardboard. Flowers are so beautiful. I was motivated to sketch some on something that could be easily thrown away. It’s like wearing grungy sneakers with a lace skirt…a lovely contradiction of sorts that actually works. This weekend I went down to Miami for Art Basel Miami Beach. It was an amazing show full of beautiful paintings, sculptures, champagne and even oysters. I wore a grey Alexander Wang dress (similar here), my grey Alexander Wang handbag (similar and on sale here) and vintage grey Lanvin metallic sneakers. It was cool down in Miami this weekend so I also wore my Veda leather jacket while outside. 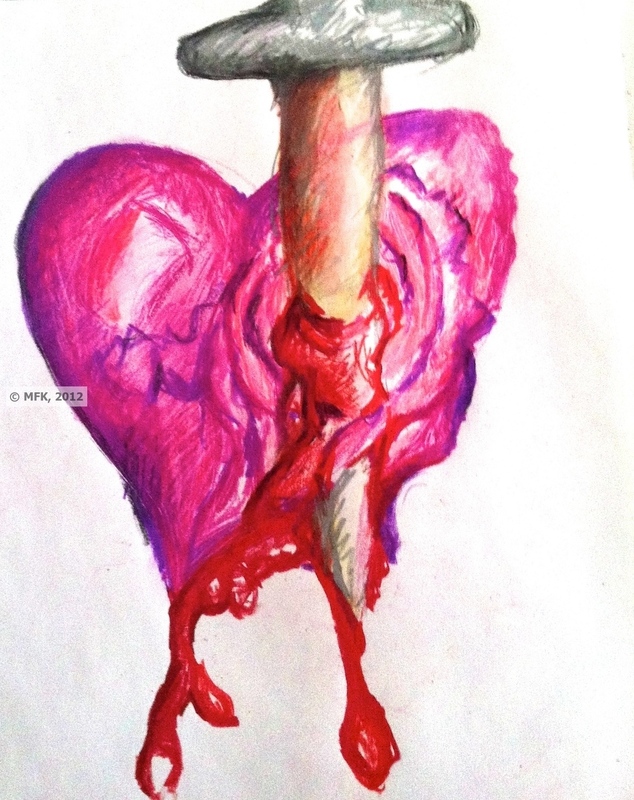 If you love art and haven’t seen my artwork, click here. Prints are available for purchase if you fall in love with any of them. Maybe next year I will show with a gallery. Anyway, check out more great artwork from Art Basel below! The streets of New York are an art piece all to itself and my latest painting reflects just that. I did a painting inspired by my graffiti wall photo. To find such beauty in the midst of such grit. That’s New York for you. Check it out below, available for print soon. This summer has been all about soaking up the sun rays and ros wine. We still have some time before Fall to enjoy the weather. I love when the art and fashion collide, especially on a dress. I recently wore this Milly dress to an AKA luncheon and everybody was in love. It’s perfect for that kind of affair, brunch, lunch, or business with a nice blazer. Check out more summer dresses here. The walk to the beach is full of suspense and beautiful foliage. You just can’t wait to get there and if it’s a gorgeous day, it may look something like this. I took a photo of this scenery and loved it so much, I did a painting. Walk to the beach. Florida has been so beautiful and the weather is perfect. I was inspired by a beautiful photo of a sunset I took last year in Florida. A parking lot? Yes, a parking lot. I had so much fun painting the palm trees. So, the weather has been a bit all over the place this Spring. But, hey, some days the sky is just gorgeous. I recently sketched some clouds and had some fun with oil pastels. I’ve been thinking about the sky, the universe, and clouds are just what came out. I always wonder about the universe and how big it is. There are so many stars and nature and the planet simply inspire me. Happy Valentine’s Day! Hope you’re enjoying the day so far. Here’s a cooky sketch of a heart. It’s meant to represent an intense and undying love. Have a great night and to see more of my artwork (and there is more coming), click here. Grunge. Graffiti. The 1990s. and Chanel? Really. 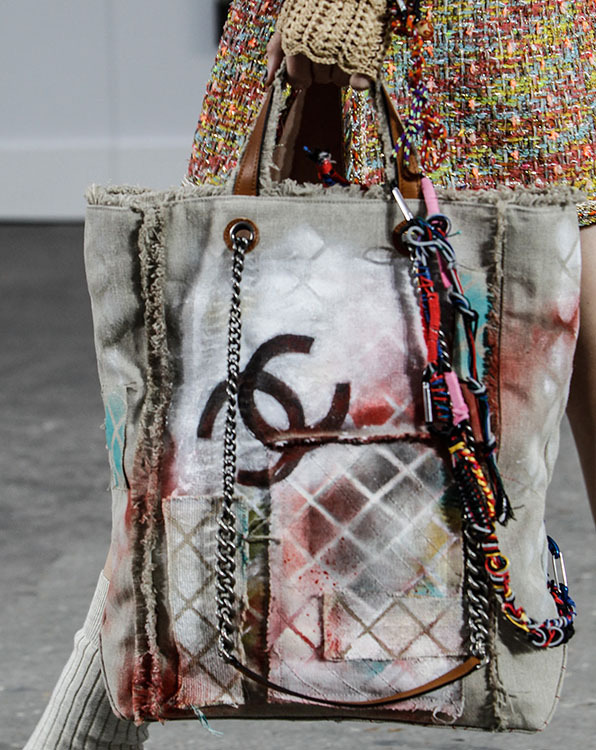 Yes, Chanel has again jumped on the graffiti bandwagon for Spring 2014. It’s an interesting play on colors but for $3400? Label whores who do anything for a label might easily fork over the money for this but I would say if you really want a backpack like this, do it yourself. Make a fun art project out of this at home. Don’t get me wrong, I’m enjoying the creativity, colors and grunginess of it all but I just can’t get with the pricepoint. 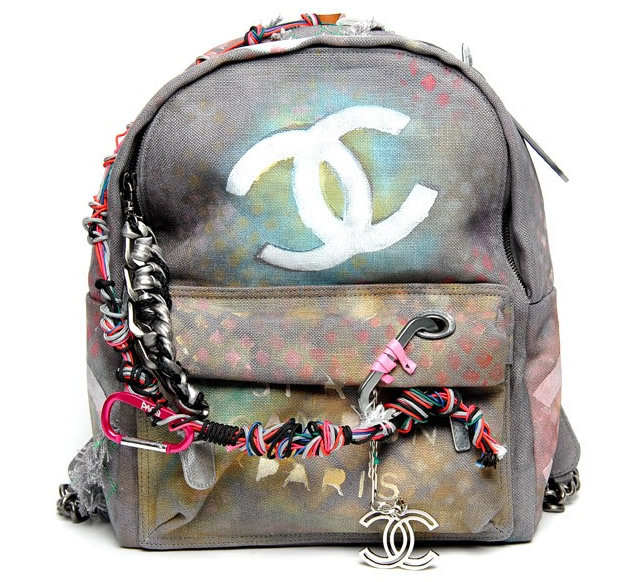 After seeing those Chanel boots from the F/W 2013 show, I am just not enthralled with the graffiti backpack. Are we wearing backpacks these days anymore anyway? So this week Kanye West gave Kim Kardashian a George Condo hand-painted Hermes Birkin bag for Christmas and Kim showed it off on a shopping trip. Condo did the artwork for my favorite Kanye album My Beautiful Dark Twisted Fantasy. June Ambrose photoshopped a photo of her with a George Condo painted Birkin on Instagram to generate chatter. Needless to say the art world has officially infiltrated fashion. 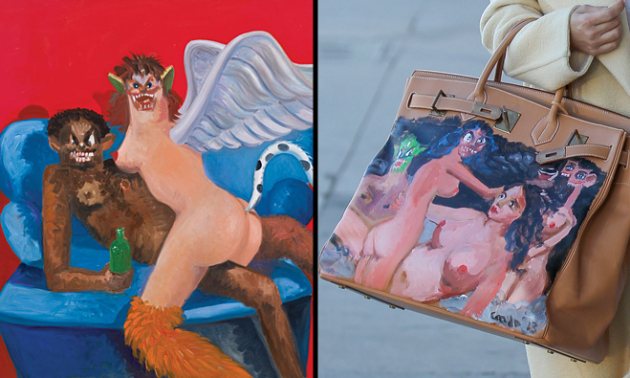 And, well, although I like the provocative artwork on Kanye’s album cover, I can’t say the same about the Birkins. It just doesn’t do it for me. What do you think?